Schematic Diagrams you"ll find directly inside the service manual below! There are some Samsung Mobile Phone Service Manuals & Schematic Diagrams PDF above. The company's history began in 1938 in Daegu. In 1948, the company was given the name SAMSUNG TRADING CO. In 1969, the company made a breakthrough in advanced electronic industry virtually from scratch. Together with the Japanese firm was established SANYO SAMSUNG ELECTRONICS COMPANY "SEC", which is specialized in the production of semiconductors and a few years later moved to the property of SAMSUNG. In 1970, cooperation with Sanyo Electric led to the merger and the formation of Samsung Electronics Corporation. In 1972, the first black and white TV and color TV in 1977 were released. In August 1973, the corporation head office moved to Suwon (South Korea), and by December the construction of the production of consumer electronics factory was completed. Later, the corporation is now Korea's Semiconductor Co., initiating mass production of washing machines and refrigerators. By 1978, a sales office was opened in the United States, export volumes of Samsung Electronics exceeded 100 million US dollars. In 1979, the first domestic video recorders were released. In 1980 he joined the corporation to Korea Telecommunications Co., which was then renamed Samsung Semiconductor & Telecommunications Co. In 1983 he began production of personal computers (model: SPC-1000). And chip 64M DRAM with the size of the memory of 64 MB, the SAMSUNG first released the player was released in 1983, capable of reading the usual CD - sales office was opened OK A year later - discs, CD - ROM, VIDEO - CD, PHOTO - CD, CD player England and for the production of VCR plant in the US, and completed construction of the largest plant for the production of microwave ovens (2.4 mln. units per year). In 1986, the Korea Management Association awarded Samsung Electronics Prize "The Best Company of the Year". The same year saw the release of ten-millionth color TV, open trading offices in Canada and Australia, research labs in California and Tokyo (Japan). In autumn 1988 there was representation in France, as well as the corporation merged with Samsung Semiconductor & Telecommunications Co.
By 1989, Samsung Electronics ranked 13th in the world for the production of semiconductor devices and opened factories in Thailand and Malaysia. In 1992, the plants were launched in China and Czechoslovakia, and the company is included in Group A in accordance with international credit rating. In order to improve the management structure in December of the same year, Samsung Electronics has moved to a single system of the presidential administration. 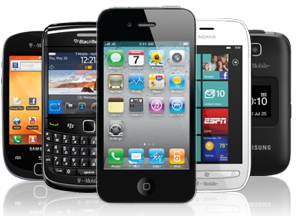 In December 1991 it was completed development of personal mobile telephone devices. In August 1992, the development of mobile telephone system has been completed. In 1994, sales volume reached 5 billion. US dollars, and in November opened branch Mukoonhwa Factory with the use of disabled persons. By 1995, the export volume exceeded 10 billion. Dollars, and in February, Samsung Electronics has acquired 40.25% stake in computer company AST Co. (USA). In September 1996, Samsung Electronics products were found to conform to ISO-140001 standard. In May 1997 the company became the first CDMA equipment exporter in Shanghai (China). The company selected as "Olympic Partner" category "Manufacturers of wireless communication equipment." By 1998, the company took over the main market share of LCD monitors and began mass production of digital TVs. SAMSUNG in 1998 released a new model of a DVD-player, where specially designed ADAT technology allows you to view discs recorded in NTSC TVs PAL and SECAM without loss of image quality. They diamond heads, which number six were introduced. The diamond coating reduces wear on the belt, eliminates dust accumulation and provides high-quality recording and playback. In March, the development of the lightest phone in the world of personal devices (PCS, model SPH-4100) has been completed. In January 1999, Samsung Electronics was awarded the prize "Best Company for the production of consumer electronics", annually awarded by the magazine Forbes Global. SAMSUNG has manufacturing plants in Mexico, Portugal, China, Thailand. SAMSUNG is also the largest producer of cathode-ray tubes (SAMSUNG DISPLAY DEVICES CO "SDD") and has plants in Korea, Malaysia and Germany. Together with the American company GENERAL INSTRUMENTS develops equipment for high-definition TV, which will be launched in the United States. SAMSUNG is behind the Japanese firms, but develops them faster. Productivity is estimated at SAMSUNG is not on the amount of the product and on its quality. The most profitable for SAMSUNG was the production of semiconductors. SAMSUNG firm has mastered the production of new 64-bit microprocessor with a clock frequency of 800 MHz, which is designed for digital image processing and sound in the new TVs, camcorders and VCRs. SAMSUNG has acquired the property of the Japanese company LUX owners known brand LUXMAN and became producer of luxury audio equipment TOP-Hi-Fi. By 2000, the SAMSUNG Olympic Games has pledged to deliver wireless multimedia communications. On TV screens show ads extensively SAMSUNG biotv. Someone believed in it, and some do not, but sales of televisions increased. In fact, the effect of infrared radiation has long been known and in our country, and abroad. SAMSUNG Company and LG (Schematics & User Manuals PDF page) first to use this phenomenon in the construction of modern biotv. Diffused infrared long wavelength part of the spectrum, invisible to the human eye, a beneficial effect on all life around. Kinescopes SAMSUNG and LG with bioceramic coating of natural ingredients generate diffuse infrared radiation, and the radiation level increases with an increase in ambient temperature. This radiation creates favorable environment, relieves stress and fatigue and creates a "green zone". SAMSUNG is a leader in the market of digital cameras and photo equipment in terms of price and quality. A new model of camera SDC-33, which has a resolution of 640 * 480 pixels (16 million. Colors) and memory of 4 MB. It can be connected to a computer via interface RC-232 and "reset" the captured images on the hard disk. SAMSUNG also introduced a new model SAMSUNG BIO MAESTRO with a diagonal of 56 cm, which have been restored "lost" inches, with a unique design engineers -. PLUS system. The picture, which is reproduced on the TV screen, some already (5 cm. ), Than what the operator sees on the screen of your camcorder. At one time it was done intentionally, to remove distortion at the edges of the screen. Modern video signal processing circuit and the new technology of television tubes SAMSUNG allowed to receive additional 3.5 cm. Useful width of the screen. In addition, due to a flat front surface of the CRT TV series BIO MAESTRO reproduce the image with the lowest possible geometrical distortion. Further development of steel SAMSUNG WORLD BEST PLUS TVs. For three years 55 engineers working on a solution to the problems of increasing the useful area of the screen, and it has been spent 20 million dollars. The new technology of television tubes in WORLD BEST PLUS TV completely eliminates noise on the edges of the screen. During the period 2000-2002, the position of Samsung Electronics rose by 8 points in the world ranking and a brand value increased by 30%. Samsung Electronics - the world leader in the production of semiconductor and telecommunication equipment, as well as in digital convergence technology. In 87 company offices in the territory of 47 countries employ about 70 thousand people. The company consists of four main units: Digital Media Network Business, Device Solution Network Business, Telecommunication Network Business and Digital Appliance Network Business. Samsung Electronics knows that its future depends on the customer, so the main task considers the satisfaction of their needs. The basic idea of business development corporation - the ability to offer the consumer that the product in which it is most interested. No less important task for Samsung Electronics is striving to increase shareholder value. To this end, the company continues to operate in an effort to expand its global position as a global corporation. Samsung Electronics is always looking for ways to change and improve the world. The company's efforts are aimed at protecting the environment, support for culture and sport, the development of social programs useful for society.